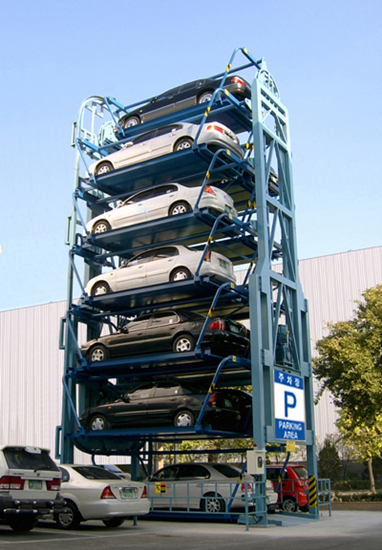 This parking equipment is designed to provide parking capacity based on pallets’ circular movement. Efficient land usage in the area within restrained urban conditions. Doesn’t require operation staff. Low level of breakdown occurrence. 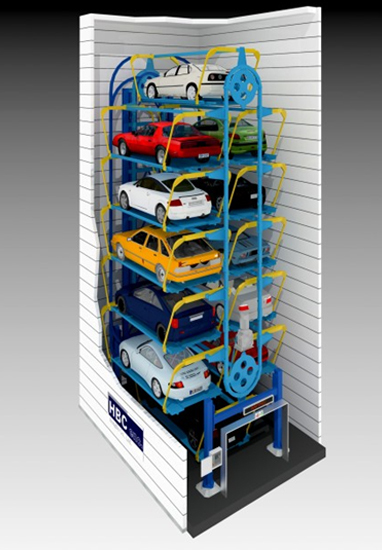 Designed for small quantity of parking spaces. Therefore it provides short time of vehicle entry and retrieval. Efficient space exploitation compared to available parking space. 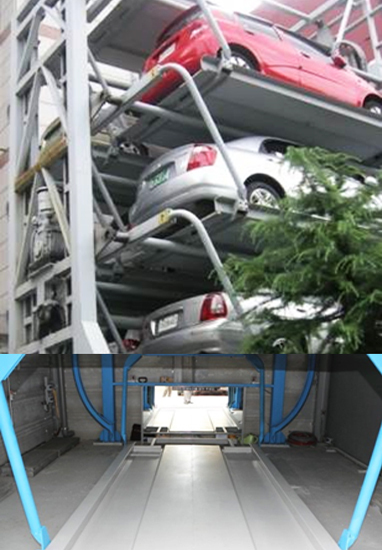 Compact size equipment suitable for urban high density development area. Up to 12 vehicles may be allocated inside the area for 2. Short time parking within the nearest space available.